Come one, come all. Sit around the hearth of the roaring fire, grab a flagon of ale and let me tell you the tale of a wee lad with a lion’s heart who refused to bow down to giants. It’s the tale of an NBA superstar who seemingly won’t ever get the recognition worthy of his accomplishments, the tale of “The Little Guy,” Boston Celtics point guard Isaiah Thomas.  Celtics legend-turned color commentator Tommy Heinsohn coined the phrase two-and-a-half seasons ago when Isaiah Thomas was first traded to Boston before the 2015 February trade deadline. At the time, “The Little Guy” was a viable sixth man, and an electric undersized scorer off the bench who could light up the scoreboard and wow spectators with his crafty handles and acrobatic finishes at the rim. It was an endlessly romantic tale synonymous with Boston sports lore, an overachieving punch-above-his-weight-type player who wasn’t given a real shot, with the undeniable passion for the game of basketball to match that of his new home. It was adorable, playful even, at the start. “The Little Guy” finished second in voting in the NBA’s Sixth Man of the Year award for the 2014-15 season after recording 19 points per game to go along with 5.4 assists off the bench. Many said this was the perfect situation for him, finally finding a system and a coach in Brad Stevens that could let him relentlessly attack on the offensive end and let the rest of his teammates pick up the defensive slack. But then IT4 took it to a new level. “The Little Guy” wasn’t logging little minutes anymore. IT started all but three games in 2015-16, playing 32 minutes per contest and improving in, no joke, every single offensive statistic, from field goal percentage to assist to turnover ratio. The year is 2017. 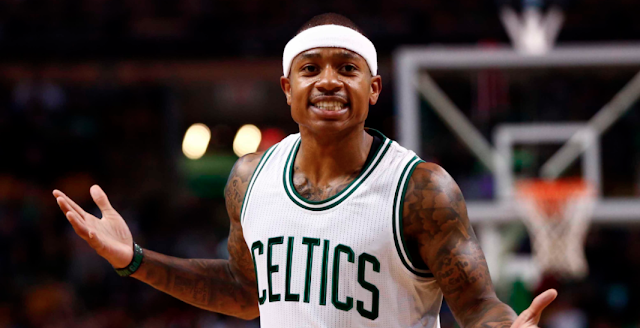 Isaiah Thomas has been the heart of the Celtics for close to three seasons. He’s averaging just over 28 points a night, making him the fourth-leading scorer in the NBA, shooting 46 percent from the field, and 91 percent from the free throw line (also landing him fourth in the league in that category), all career-high marks. He is leading the NBA in fourth quarter scoring at 9.8 points, while shooting 44 percent from 3-point range in the quarter. He’s also dropping 6.1 assists a game. Against the Miami Heat on December 12, Thomas set a Celtics franchise record for the most points in a quarter with 29 in the fourth, on his way to notching a new-career high with 52 points on 15-of-26 shooting. The next game against the Utah Jazz he recorded a career high 15 assists to go along with 29 points and a steal. The Celtics are 23-12 when Thomas plays. They were 1-3 when he was sidelined with a groin injury in early December. Now, if you have someone read those figures back to you while you shut your eyes, one might conjure up an image of a through and through NBA superstar, an undisputed game-changer with the accolades to warrant a starting spot for the Eastern Conference in the All-Star Game. But because this is the National Basketball Association, and unless you’re The Greek Freak for Milwaukee or the aspiring point-forward Joel Embiid for Philadelphia, then you can’t really be considered a serious talent. IT will continue to be looked over, literally, by fans and pundits alike. There are still legitimate gripes over his defensive ability. There is still even a thought that he might just be flourishing in a system designed around him that other teams and coaches wouldn’t implement. But there is no denying that were he six inches taller and putting up the same numbers, with his insatiable appetite for hard-nosed playground basketball while pushing his Celtics to a first-round home-court spot, we’d be talking about Isaiah Thomas and the season he is enjoying more seriously than just an entertaining spectacle.